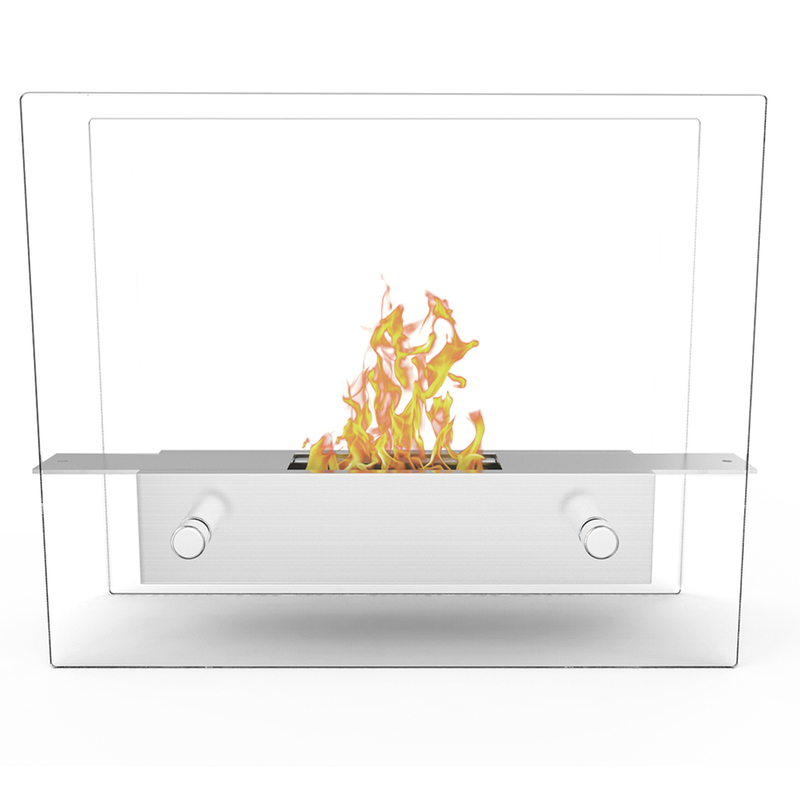 The Lyon portable modern ventless ethanol tabletop fireplace is small, yet suave. 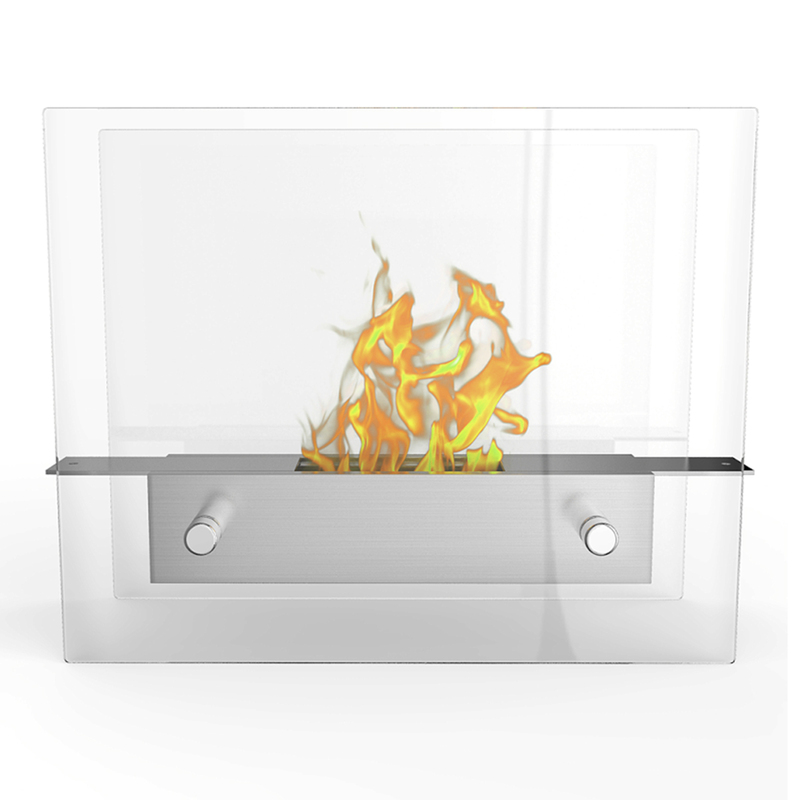 Suitable for any table, counter, or bar, the Lyon fireplace sits comfortably on two vertical tempered glass sheets. The flame seems to float and is visible from all angles. Very well made with a very refined look! The flame is almost mesmerizing, with its ever changing look and warmth. This creates an absolutely beautiful and toasty warm little fire. It looks better in operation than in the picture. Great table top fireplace. 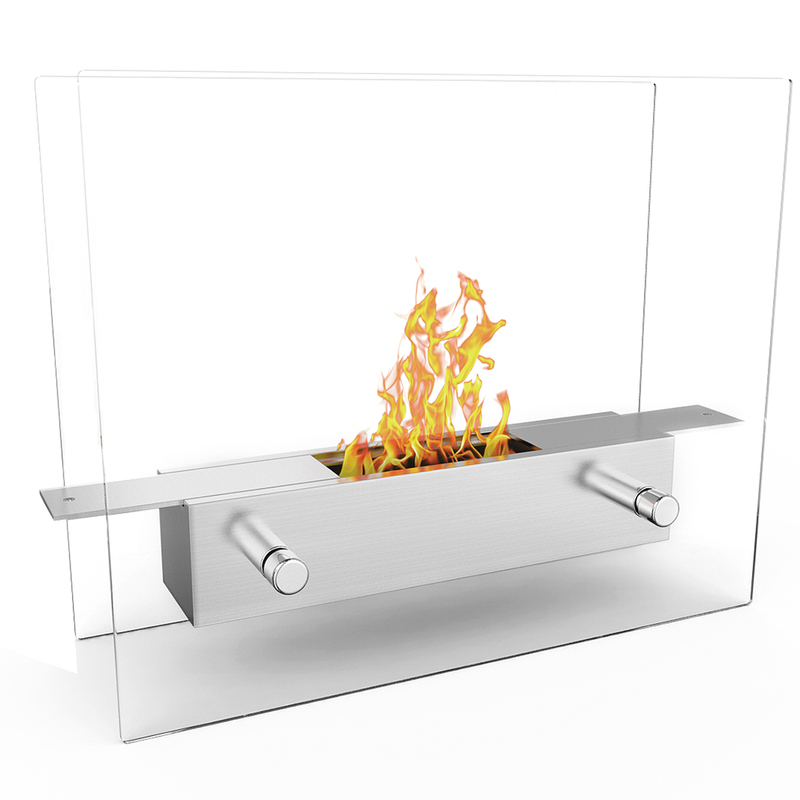 A very cool little tabletop fireplace. Very cool!! It's built solid and was packaged really well. Looks really nice when lit. It does put out some heat above the flame. Probably not going to heat up the whole room, but certainly gives off some heat up close and really sets a relaxing atmosphere. I have no complaints about this product. Nice, relaxing and simple to use. Only wish it were a bit wider to make refilling easier. Ultimately, a very nice product.